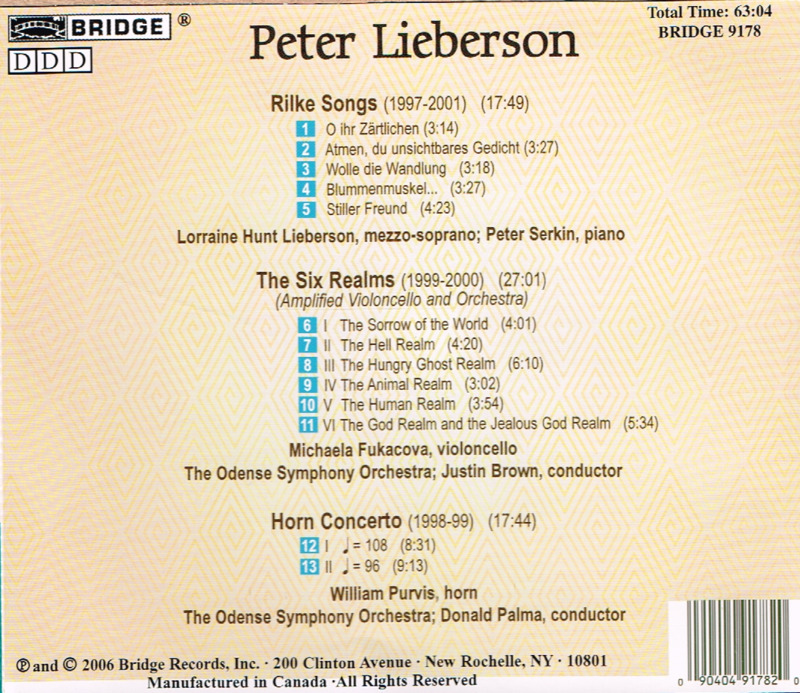 "Not since Benjamin Britten wrote for his partner Peter Pears has a composer found so inspiring a muse as Peter Lieberson has in his wife, the superbly gifted mezzo-soprano Lorraine Hunt Lieberson. 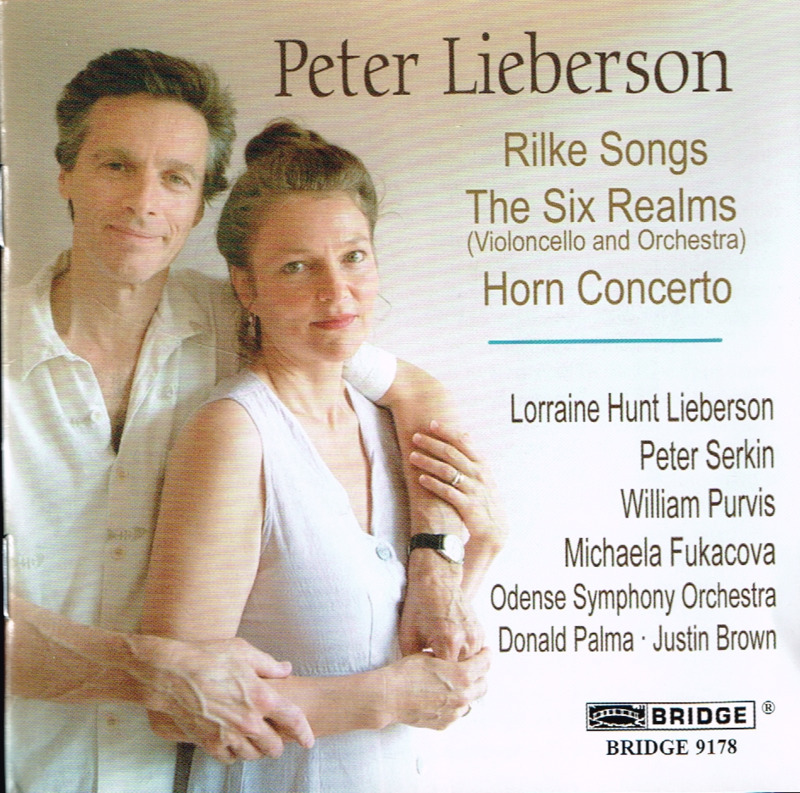 Her probing intelligence and radiant tone inform everything she sings, and her rendition of her husband's 'Rilke Songs', which headline this irresistibly listenable disc, puts those gifts to great use. 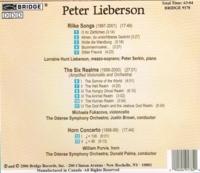 Lieberson's writing is tender, impulsive and endlessly responsive to the text, with poignant piano accompaniments (by Peter Serkin) as background to Hunt Lieberson's fluid and effusive singing. The rest of the disc is no less revelatory; it includes 'The Six Realms', a colorful and wonderfully varied concerto for amplified cello and orchestra, and a more traditional Horn Concerto, given a sumptuous performance with William Purvis as the soloist."